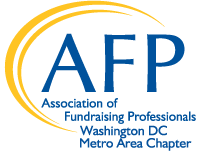 Attention AFP-DC members, the AFP-DC Flex Pass deal is back! Purchase a $45 Flex Pass and choose THREE 2019 education sessions to attend – that’s $15 each! CLICK HERE to select your three programs and purchase your pass. *Offer is valid for 2019 programs only, unused passes may not be rolled over to 2020 programs. Must be an AFP-DC member to purchase.